Here are 5 Steps for starting a gluten-free life from our friends at GIG, the Gluten Intolerance Group. 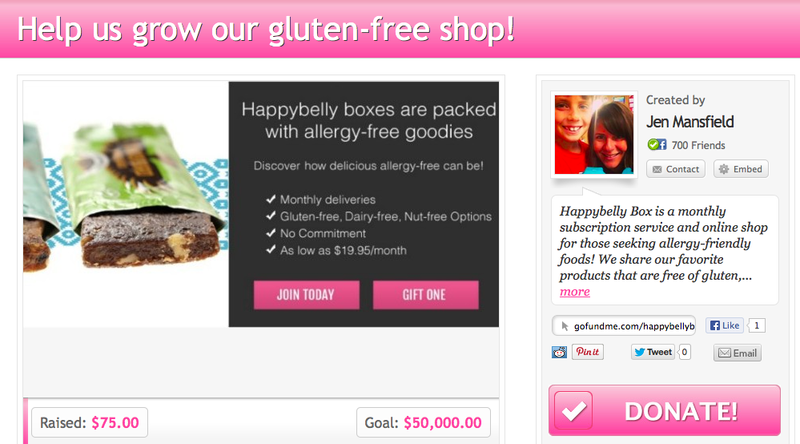 They are an AMAZING resource for those of us living without gluten, so head over to their site for more helpful info. They’ve also supplied us with a list of GIG approved/gluten-free certified restaurants across the US, which are those which meet their strict standards for handling and prepping gluten-free foods to ensure a minimized risk of gluten cross contamination. 1. Omit obvious gluten-containing foods from your diet, such as cereals, breads, and pasta. Try eggs, cream of rice, or fruit for breakfast. Substitute rice cakes, rice, potatoes, or corn tortillas for breads and pastas. Have sherbet or fruit for dessert. Use vinegar and oil on salads instead of pre-made, bottled dressings. Drink milk, 100 percent fruit juice, coffee, or teas. 2. Read food labels for less-obvious sources of gluten and learn what to watch out for. Avoid anything you think is suspect. connected with someone at a local GIG support group. 3. Try calling or writing to a food manufacturer. In doing this, make sure you use the proper terms and be very specific in what you are asking. 4. 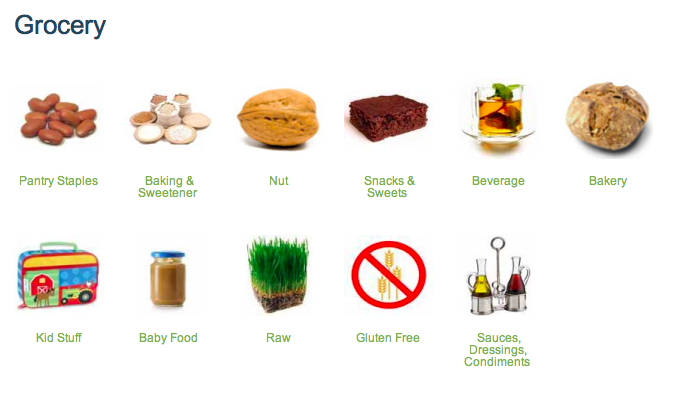 Look at products you may have never thought of as containing gluten: medicines, chewing gum, and toothpaste. Consider cross-contamination issues such as sharing toasters and foods like mayonnaise, margarine, and jam that may get contaminated through use. 5. Explore new foods that are naturally gluten-free. There are many gluten-free grains you may not have tried before, like sorghum, quinoa, teff, and buckwheat. Often when some doors close, others open. 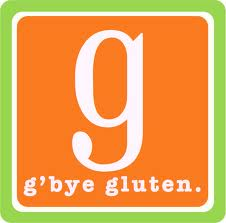 Look at your gluten-free diet as an opportunity to discover new healthy foods and exotic cuisines. And remember, diligence is key to your health! Read labels, and be weary of those which claim to be Gluten-free, but state that they’re made on equipment which also processes wheat and gluten-containing products. You can read more about that in a recent post here. This is a chance for you to take control of your health and feel better than you probably ever have in your life so far. Follow these steps closely, and try to skip processed foods as much as possible. Keep your gluten-free snacks to a minimum and focus on the basics: fruits, veggies, nuts, seeds, fish and meats and start exploring the many wonderful recipes online. 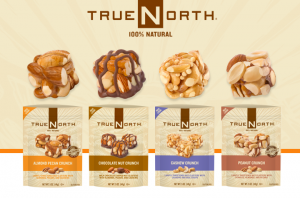 We have some here, and there are plenty more to discover along your new gluten-free journey. What do you get when you cross a fuel saving hybrid with a large plastic banana? A bananamobile of course! If you live in the Austin or Dallas Fort Worth areas, and you aren’t yet buying from Greenling, you’re missing out on some of the freshest and best tasting local produce, delivered to your door! 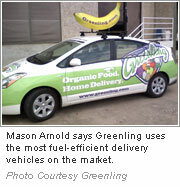 Currently, Greenling delivers to Austin and San Antonio with plans for Houston on the horizon, and according to the founder, Mason Arnold, they don’t plan to stop there. Ultimately, he would like to expand the service nationwide. But Greenling is not just about local produce. In fact, they are about fresh, healthy and delicious food. Period. From their Local Box, which is delivered weekly and packed with the freshest local produce you can imagine, to their fully stocked online shop, you can browse from hundreds of products, including many gluten-free options! I’ve sampled some of their brands, and will follow up with product reviews this week, so until then, here are some quick tips on how to start taking advantage of their amazing services. And remember, everything Greenling sells is either Certified Organic, or locally sourced and sustainably grown. So you can feel good about the food you’re eating, thanks to Greenling. Connecting you with local farmers, every week! With their Local Box, Greenling connects you with the freshest, best produce you can find. Local Boxes are delivered either weekly or twice monthly, bringing you farm fresh foods, delivered to your door, for about the same price as you would pay in the grocery store. And the best part? Your dollars stay local and help farmers continue to farm Organically, helping you to feel better and keeping all the harmful side effects of non-organic farming away from your table. Greenling’s partner farmers are all local, Organic Texas farmers. Check out their list of featured local farmers here. In a hurry, or not much of a chef? Let Greenling do the work for you! Be sure to check out their prepackaged meal plans; listed as “Recipe Kits”, these little guys are super handy and include apps, 1 Meal, 2 Meal, juicing, breakfast kits and more. Greenling has done a fantastic job of covering many special dietary needs, and they don’t disappoint to that effect with their Recipe Kits either. You can browse the ingredients on their kits here, and while they don’t currently have it broken down by gluten-free options, I’m happy to say that they have plans to build a criteria to search by ‘gluten-free” items soon! 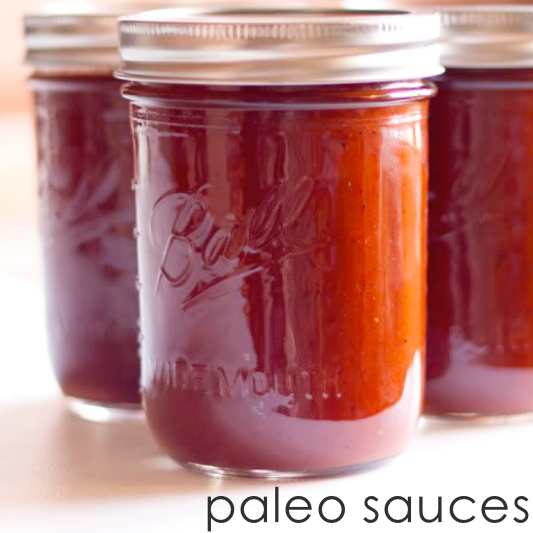 Looking for healthy, fresh and delicious foods from local companies? Once again, Greenling doesn’t disappoint! With hundreds of products lovingly made by local companies, Greenling features some of the tastiest homemade products we’ve tried. With Vegan, gluten-free bread that my son devoured, to a gluten-free brownie that my husband swore was the best he’s tried yet, their products are fresh, healthy and delicious. 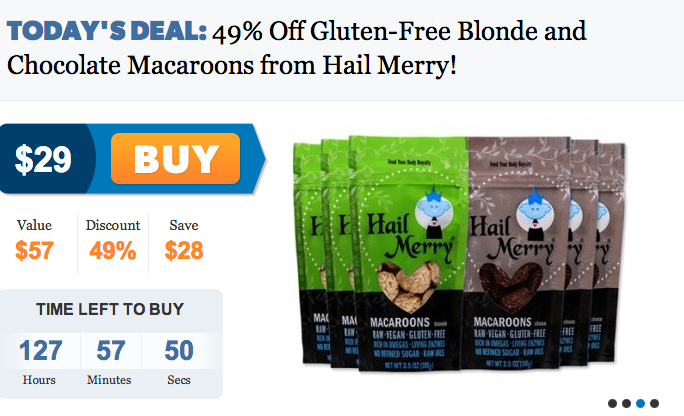 Browse their gluten-free items in the shop here; be sure to choose “Shop” then “Grocery” and you will see the image for gluten free items on the next page. So head on over to Greenling now , and sign up to view their amazing local and delicious selections today! Note that the Local Boxes are delivered on either a weekly or bi-weely schedule, but you can shop any of their other items as often as you like. Here’s a quick video of Greenling’s founder, Mason Arnold sharing why he founded Greenling, and what shopping with Greenling does to help ensure better health, better farming practices, and safer food conditions. 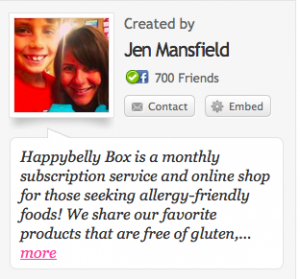 What is a Local Box, anyway? Our Local Box is a weekly changing selection of seasonal, sustainably grown produce, fresh from local farms! You’ll receive 8-10 different local fruits and veggies, along with a list of where they came from and suggestions on how to use them. More on the Local Box here. What if we don’t deliver to your zip code? Oh noes! We’re sorry about that. We track every zip code entered so we can gauge interest when we are ready to expand our delivery area. Perhaps try a friend or family member’s address that might be able to accept the order for you? When will I get my Local Box? Your delivery day is determined by your zip code – in order to route as sustainably as possible, we visit each area of town once per week. Once you create your account, we’ll let you know your next available delivery day, and you can choose a later date if you’d like. More on delivery specifics here. Hopefully you’ve already stopped reading this and headed over to Greenling by now, but if not, please go now – you will thank me for it later! 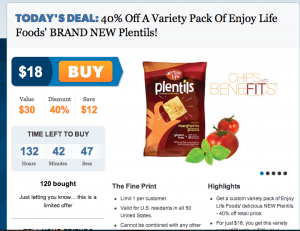 This relatively new Gluten-free resource hit the market running; it’s owned by General Mills and is their means for distributing information about their variety of gluten-free products which they’ve launched over the last couple years. In fact, in the last three years, General Mills — best known for Cheerios, Betty Crocker and that wheat-filled Pillsbury Doughboy — has put gluten-free labels on more than 300 products already made without gluten, reformulated the recipes of five Chex cereals and introduced gluten-free dessert and pancake mixes. Happy days for those of us raising allergic children! And as many people continue to wonder, why has the rate of gluten allergies and sensitivities been on the rise? And that market is growing. 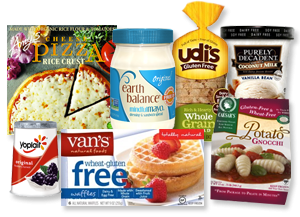 According to a recent Nielsen report on consumer trends, the volume of gluten-free products sold in the past year is up 37 percent. Spins, a market-research-and-consulting firm for the natural-products industry, says the gluten-free market is a $6.3 billion industry and growing, up 33 percent since 2009. So what do I like about Glutenfreely? 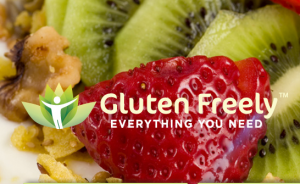 Well, for one, they’ve placed a focus on providing delicious, gluten-free products for those with Celiac and/or Non Celiac Gluten Sensitivity and have repurposed their recipes to make them available. While I myself avoid all grains, I’m raising a gluten-free 8 year old who is grateful for gluten-free cereals, protein bars and snacks that go into his lunch box occasionally. If you follow my blog, you know I don’t promote packaged foods, but for the purpose of raising an allergic child, I do think it’s important to keep a sense of normalcy in their lives so that they continue the path of living an allergy-free life. If you ostracize them all the time, they are less likely to follow the diet that will keep them safe and healthy for a lifetime. So go ahead, browse and shop with confidence at Glutenfreely.com, but remember – don’t make these GF items a simple replacement for your gluten-full foods. Stick to the perimeters and eat non-packaged foods as much as possible. And when those moments hit, and you crave a little something reminiscent of your youth, General Mills has made it clear they will be there with you along the ride to ensure healthy, gluten-free options.